Washington: The decision to seek the extradition of Julian Assange marked a dramatic new approach to the founder of WikiLeaks by the US government, a shift that was signalled in the early days of the Trump administration. President Barack Obama’s Justice Department had extensive internal debates about whether to charge Assange amid concerns the case might not hold up in court and would be viewed as an attack on journalism by an administration already taking heat for leak prosecutions. But senior Trump administration officials seemed to make clear early on that they held a different view, dialling up the rhetoric on the anti-secrecy organization shortly after it made damaging disclosures about the CIA’s cyberespionage tools. “WikiLeaks walks like a hostile intelligence service and talks like a hostile intelligence service,” former CIA Director Mike Pompeo said in April 2017 in his first public speech as head of the agency. “Assange and his ilk,” Pompeo said, seek “personal self-aggrandizement through the destruction of Western values.” A week after the CIA director’s speech, then-Attorney General Jeff Sessions said the arrest of Assange was a priority, part of a broader Justice Department crackdown on leakers. “We’ve already begun to step up our efforts, and whenever a case can be made, we will seek to put some people in jail,” he said. Pompeo, now secretary of state, declined Friday to discuss the issue, citing the now-active legal pursuit of Assange following his removal a day earlier by British authorities from the Ecuadorian Embassy in London. The administration won’t say why they decided now to charge Assange with a single count of computer intrusion conspiracy that dates to 2010. Back then, WikiLeaks is alleged to have helped Chelsea Manning, then a US Army intelligence analyst, crack a password that gave her higher-level access to classified computer networks. Nor will they say whether the Obama administration had the same evidence that forms the basis of the indictment, or whether Assange will face additional counts if he is extradited to the United States. But a US official, speaking on condition of anonymity to discuss internal and legal matters, traced the genesis of the indictment to what’s known as the “Vault 7 leak” in 2017, when WikiLeaks released thousands of pages of documents revealing details about CIA tools for breaking into targeted computers, cellphones and consumer electronics. A former CIA software engineer was charged with violating the Espionage Act by providing the information to WikiLeaks and is to go on trial later this year in New York. 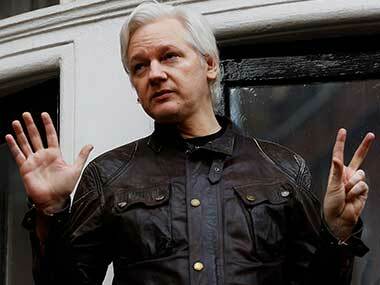 And the leak was a tipping point in deciding to pursue Assange, the official said. “Vault 7 was the nail in the coffin, so to speak,” the official said. It ended years of ambivalence about what to do about Assange, who was hailed by many when WikiLeaks published hundreds of thousands of State Department cables and US military documents, including many that revealed previously unknown facts about the wars in Iraq and Afghanistan and the detainees held at the US base at Guantanamo Bay, Cuba. Even today, Assange and WikiLeaks have supporters around the world, amid a debate over whether the dissemination of raw, unfiltered documents and data counts as journalism. Daniel Ellsberg, the former military analyst behind the famed leak of the secret history of the Vietnam War known as the Pentagon Papers, called the charging of Assange an “ominous” effort to criminalize a necessary component of journalism. “The charges are based on facts that were known throughout the Obama administration, which chose not to indict because of the obvious challenge to the First Amendment that would involve,” Ellsberg said in an Associated Press interview. A former Justice Department official, who spoke on condition of anonymity to discuss internal discussions, said there was an extensive debate within the government over the feasibility of charging Assange with the publication of stolen, classified materials. But prosecutors grew concerned that such a case would not hold up in court. Even though officials did not agree with Assange’s self-characterization as a journalist, the former official said, there was concern that it would be hard to justify charging him with actions that more conventional journalists take. The former official said the department at the time was more amenable to bringing a case like the one ultimately brought — a narrower prosecution centered on a hacking conspiracy. It focuses on an entirely different violation that may obviate any First Amendment or press freedom concern. That is a widely held view in government, even among people generally sympathetic to the mission of the media.